“The Illustrative Chef 30 Illustrated Recipes by Liv Wan” is my first “illustrated” cookbook. Two years ago I published my first cookbook, which was a great thing to do, but just in the last week my second cookbook has come out and this time it’s entirely illustrated. For me as an illustrator this is a really big achievement. At the beginning of 2015 a really popular and wonderful recipe illustration website called “They Draw and Cook” announced they would publishing books for a few illustrators throughout the year. I believe only 5 or 6 illustrators will be published but their competition was to come up with 30 recipes, submit them to their website and certain illustrators would be selected. I was one of them. So over the last six months I had to illustrate close to 30 brand new recipes and I can tell you now it wasn’t easy. There are multiple reasons for this including having a child, my studying at university etc but the biggest challenge was to literally challenge myself to create the best illustrations I could produce. If you look at some of my old illustrations compared to these you’ll see there is a night and day different. My way of working in terms of layout, style and colour has completely changed. Some of the recipe are in children’s book style while some focus just on the ingredients. 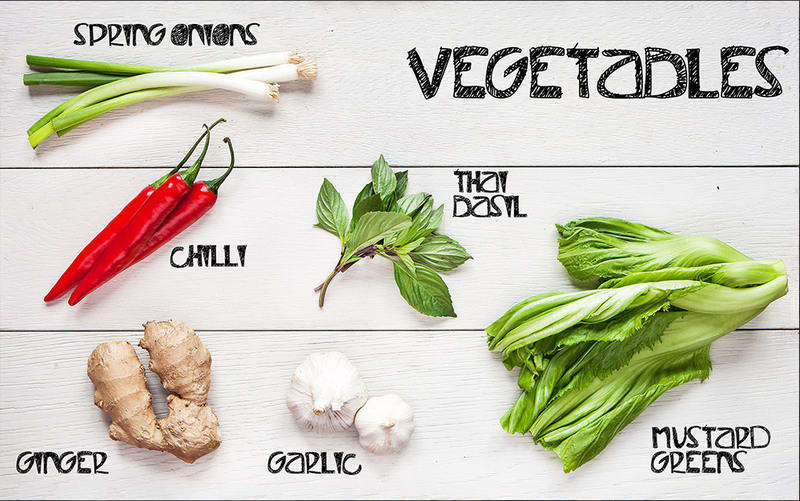 So let’s talk about the recipes and food as this might be interesting for the foodies who visit my website. Some of the recipes have been accumulated from my time working as a chef, some are personal favourites that I eat at home and some are from memory. All of the recipes are delicious though and most are very easy to follow and generally quick to make. There are a couple exceptions, the Ramen recipe being an example, but one thing I will point out is I made every single recipe while making the book just to make sure they tasted great. So this book “The Illustrative Chef 30 Illustrated Recipes by Liv Wan” is not only a feast for your tummy but it’s also a feast for your eyes. This book is only on sale on Amazon but you can purchase it at any Amazon. Amazon has many great things going for it including free delivery in the UK on orders with at least £10 of books and if you want to purchase my book for your friends or family, Amazon even provide a gift wrap and gift card service. If you are thinking about buying a special and beautiful cookbook that full of delicious recipes, this is the book for you. Last October I got a surprising email from an international publisher called “Marshall Cavendish” asking me if I’m interested in publishing my first cookbook. After the initial shock I didn’t hesitate at all and immediately agreed, once I read the terms of the contract of course, to publish this book with them. The result is Home Style Taiwanese Cooking. Publishing a cookbook has always been one of my dreams and this invitation from a large international publisher has made this dream come true. So for the last 6 months Chris and I have been really busy with this book. I was originally contacted around September/October and we were asked to provide 60 recipes and photographs of these recipes before Christmas. However, without really diving into photographic techniques, the core lighting in our food photos is natural lighting but here in Scotland during the winter it’s dark from 3pm to 8am (sometimes seems later if the weather is really bad which this winter it really has been). This was a huge headache so it meant lots of extra nursery sessions for Amelia and literally I would have days where I would prepare 8 dishes and present and photograph them in rapid succession. Stressful doesn’t even come into it. It was also difficult as Chris is out working everyday as a photographer so his time is also a major factor but just yesterday I received a few copies of my cookbook in the post and I’m absolutely delighted with it. Naturally through the process of making the book there were some “interesting” moments where the publisher wanted something but we wanted to do it differently but in the end, with a little compromise on both ends, I think the book looks absolutely fantastic. So the first photo below is how the cover of the book will look like and the photos following that are photos of the book taken in the back garden. I might redo these photos but when I received the book I was so super excited that as soon as Chris got back from his morning photo job we quickly rushed outside, took some photos, then I went to work. This book is literally about Home Style Taiwanese Cooking. I chose dishes that I will eat when I go home, dishes that many Taiwanese mothers and grandmothers will cook at home. Many of these dishes I learnt from my grandparents on both sides of my family and there are also dishes that I know are very common in other people’s homes. There are a couple recipes that are more Taiwanese street food style but street food is a whole other thing and if the sales of this book go well I would love to be able to make another book about street food. 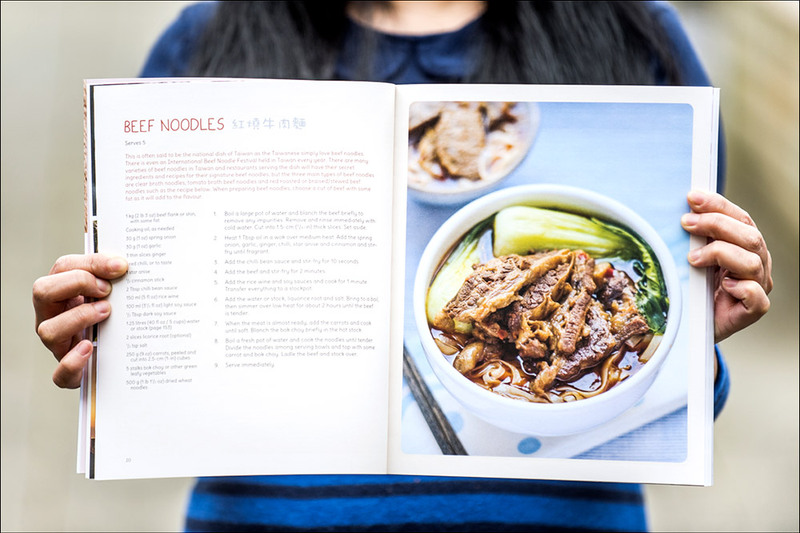 This book contains 65 recipes and 99.9% of the ingredients are available in local Chinese supermarkets and normal supermarkets. The only ingredient I can think of off the top of my head that I definitely couldn’t buy in Edinburgh (bearing in mind Edinburgh doesn’t have a China town) was marinaded cordia but otherwise practically everything else I sourced locally. Here is Penguin Books Australia link for my book. There are many other online bookstores in different countries that sell my book. So if you need to help to find my book in your home country please leave message or comment for me and I will be more than happy to search for you or contact my publisher and ask them for information. To be honest I’m not too sure how many countries will sell my book but so far all of the English speaking countries that I can think of do sell it. It feels like it’s been a million years since I last updated this blog but I’m back and with a lot of updates. The last blog post I did was about Zhajiang Noodles last July and since then I’ve started university, worked on my first cook book, photographed some weddings, took some illustration commissions and really knuckled down with my Illustration career. Eventually I might share some of the wedding photos and my illustration website is updated periodically but my main cooking related thing in the latter part of 2013 was my first cook book. I had been talking to a couple small publishers in Edinburgh about producing an illustrated cookbook but around the time they failed to come of anything I was contacted by the Singapore office of a large international publisher about making a book about Taiwanese Home Cooking. Awesome! The book is due for publication somewhere between this spring and summer. For this book I was tasked with coming up with approximately 60 recipes all about Taiwanese home dishes. The recipes had to be about dishes that really are unique to my home country and despite having little time to make everything I’m really excited to see the book. The cover will be amended and as of the 29th January my name is wrong but these should be amended before publication. I’m not really allowed to share anything with the book but here are some design proposals that I sent to the publisher that were unfortunately rejected. Both Chris and I really like these design ideas so perhaps we’ll make our own cook book in the future with these designs but do a book about Chinese dishes or something else. Once the book has been published I’ll update more information here and just as a credit Chris (http://www.chrisradleyphotography.com) did all of the photography. Here are some pages that we came up with. Would love to get some feedback.